Being a roulette fan, you never know when you will itch to play your favorite game next time. And you won’t be able to visit a land based casino and join the roulette table in some of these cases. Several years ago, the only way out was to gamble online and give up the fair share of a thrill you could feel only in a brick-and-mortar venue. Nowadays, you don’t need to compromise your casino experience that much. With the arrival of live roulette casinos, it’s possible to play a real-time game with a live dealer spinning the wheel instead of just getting results with a Random Number Generator similar to those used in slots. Your gambling session ceases to be merely an imitation and becomes more of a webcast involving you and some other real people. The only common thing between today’s live roulette and its precursor from the 00s is the concept of streaming a live roulette gambling session run by a real person. 10 years ago, a live roulette was just a room and a dealer spinning the wheel on a Logitech camera. It was playable only on desktop and only for a few hours per day. In 2019, most of the live roulette casinos are available around a clock, offering multiple versions of roulette and much more sophisticated visual aspect of gaming. There are live roulettes with 21 cameras capturing every second of the session and slo-mo replays of its notable moments. And of course, you’re not limited to desktop experience anymore. 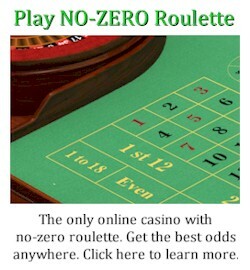 Still, live roulette has room for improvement, as the live casino industry hasn’t bloomed yet. And today, we will review the most probable changes that might happen with the game in the nearest five years. Personalization is a trend present not only in online gambling but literally everywhere. From dawn to dusk, you’re bombarded with personalized emails, targeted Facebook ads, and exclusive offers from your favorite brands. Live roulette casinos are no different in 2019. Some of them have already implemented an algorithm that memorizes the player’s behavior and offers them personalized experience during the next session. For example, if you consistently choose one dealer over others, he or she will be displayed first, etc. In the future, personalized options are about to expand. Players might be able to choose not only dealer, but also decks, surroundings, and even dealer’s style of running a game. According to the Gambling Commission report, over 70% of gamblers play casino games with their mobile devices at least once per month. This means that formerly desktop-only live roulette doesn’t work here anymore. 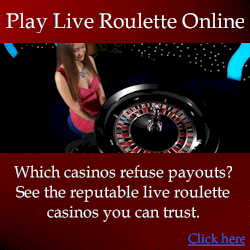 Thus, live roulette was among first casino games that appeared on mobile. The majority of live casino software providers like Evolution, Playtech, and NetEnt offer multiple versions of live roulette to play today. However, not all online casinos have fully adapted their apps and websites to be run on mobile devices up to date. But as mobile friendliness became absolute essential over the years, we can expect that the rest of them will fully adopt mobile live roulette in the nearest time as well. Virtual reality seems to be a major innovation to come to the live casino industry. But as of 2019, VR and AR casinos are more of just a buzzword than a full-fledged service to be massively utilized on a daily basis. Of course, there are some attempts to implement VR — like NetEnt’s VR version of Gonzo’s Quest slot or Microgaming’s VR roulette — although they are still in their very infancy. Live roulette is a great contender for being the first widely available live casino game in virtual reality. For those who want to get even closer to the brick-and-mortar casino atmosphere, the combination of VR and live casinos will provide much deeper immersive experience than ever before. And as VR headsets like Oculus Rift, HTC Vive, Samsung Gear, etc. become more accessible to the mass audience, maybe most of the live roulette sessions will be run in VR within 5 years. The casino is not only about games, it’s also about people. Socializing is an important part of the casino lifestyle which is completely absent in online gambling. Even in live roulette where you see a real-life casino interior and play with a real human dealer, one thing is still not there. Dual play roulette aims to change the situation. Introduced at ICE 2018 by Evolution Gaming, it implies casino visitors playing roulette “side-by-side” with those who stayed at home on the Vic tables. 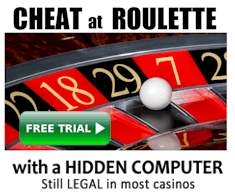 The trial version of this roulette is already rolled out at Grosvenor Victoria casino. Lightning roulette is another Evolution Gaming’s improvement designed to make live roulette more player-centric. While traditional live roulette is completely run manually by a dealer, lightning roulette combines both traditional approach and an RNG used in regular online roulette games. So how exactly does it work? You place your inside and outside bets as usual, while an RNG pulls out between 1 to 5 “lucky numbers” each round. If you bet on one of those numbers, you get a lucky payout multiplied by 50x and 500x. This gives players an opportunity to win larger sums on roulette as well as to catch a thrill of a new-level roulette experience with enhanced visuals and sounds. Will Live Roulette Replace Online Roulette? The future of live roulette looks quite promising which begs the question: is it possible for a live roulette to fully replace a regular RNG-based roulette we play on the web? Well, did mobile games fully replace desktop ones? Is analog photography dead after the digital revolution? Are we watching only 3D movies in cinemas? After answering those questions, you probably realize that it will never be the case. The reason is that live casino games require a high level of attention, since you gamble with other people. And in case of online roulette, you can spin a wheel without full immersion, even being on a ride or having your morning coffee. Many people value accessibility above all and will still play traditional online roulette. So here is our final point: it’s highly likely that live roulette might dominate the market after the wider spread of VR and other technologies, but it won’t completely replace online casino games.